Steven Spielberg made waves this week when he suggested a rules change that would disqualify movies from Oscars consideration that debut on streaming services or only appear in a short theatrical window. He argued they should be eligible for Emmy Awards instead. Why it matters: Members of the creative community pushed back, arguing that Spielberg was attempting to preserve the old guard. Netflix tweeted in response that it gives people better access to movies and gives filmmakers more opportunities. Its film "Roma" received 3 Oscars this year, but was passed up for "Best Picture." Between the lines: The tension between the theater industry and Netflix has been intense, as Netflix needs to play nice with theaters, even if its product competes with them. The big picture: It's not just theaters Netflix is battling against, but the entire Big Media establishment. Driving the news: Matthew Ball, former head of strategy at Amazon Studios, is out with a new post Tuesday that explains why it'll take years for traditional media companies to produce service that will be truly competitive to Netflix in the OTT (over-the-top) streaming video space. What he's saying: 2019 is supposed to be the year Big Media comes after Netflix, but it isn't. And 2020 won't really be either. Disney+ will inevitably steal watch time from Netflix, but it will be years until it's a threat and is unlikely to ever steal subscribers. WarnerMedia is stuck in licensing agreements that will limit its appeal. Its real offering won't launch until H2 2020, and it seems unlikely to make the big decisions (like taking Friends off Netflix) needed to win. And even then, it will only affect Netflix in only select markets. NBC's ad-supported streaming service will compete with Netflix globally, but ad-supported content tied to the pay-TV ecosystem will make it hard for the service to compete meaningfully with Netflix for consumer time spent. Hulu is Netflix's fastest-growing competitor, but its library of content is expected to shrink as its owners (NBCUniversal, WarnerMedia) invest in their own services. In addition, Hulu is far from being able to replicate its U.S. library of network content internationally, and it will take 1–2 years to deploy Disney-Fox IP for their originals. Apple and Amazon aren't technically "Big Media," but neither will knock Netflix off its throne. Apple won't spend rigorously enough to seriously compete with Netflix. Instead, it will eat growth from other new streaming entrants. Amazon's Prime Video, like Hulu, hasn't slowed Netflix's momentum, even after years of competing in the market. The bottom line: Ball argues that Netflix will experience setbacks, like losing library content to Disney and other networks as they pull their titles. But because of its massive user base, it can justify paying enormous amounts of money for content, so it won’t even lose all of its licensed titles in the short-term. Overall, its "licensed content crisis" is overhyped. Everyone wants a piece of the $19 billion U.S. subscription video market that Netflix created, then cornered. 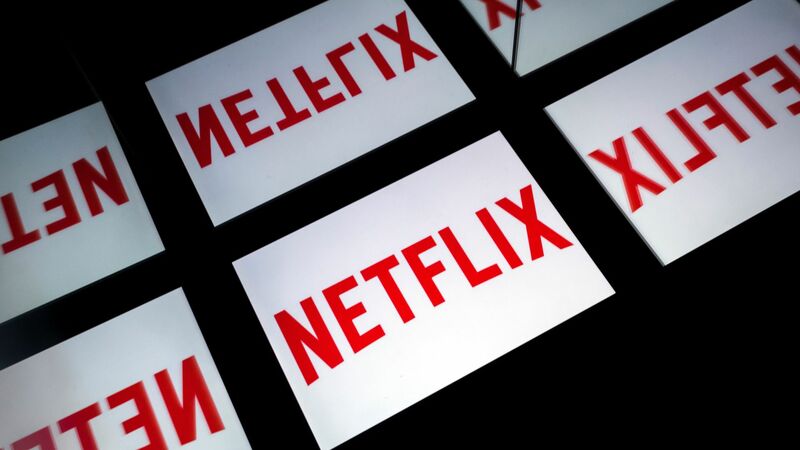 The big picture: Netflix has already reached saturation in the U.S. with nearly 60 million domestic subscribers, and it can't afford to lose customers to new streaming rivals. NBC plans to launch a streaming service next year. AT&T (with WarnerMedia) and Disney (with 21st Century Fox) both plan to launch similar subscription video services this year. Hulu now has more subscribers (25 million) than Comcast, the biggest cable company in the U.S.
And don't forget Amazon Prime, which has been the biggest Netflix competitor to date. Between the lines: Many of the networks involved in rival services have begun pulling back on licensing their content to Netflix, promoting exclusivity to their own content instead. This is why AT&T said last year that it will only license "Friends" to Netflix for a year before it can decide whether it wants to launch it exclusively on its own services. The new hit "Tidying Up with Marie Kondo"
Movies like the viral sensation "Bird Box"
Yes, but: Netflix may have an even bigger headache to deal with: free competition. Digital streaming TV companies that don't charge people for access are rising as consumers face saturated budgets for subscription content. Services with ad-supported channels or tiers, like Roku and Hulu, are booming. And pay-TV companies like AT&T, Dish and now Comcast (which owns NBCUniversal) are giving subscribers access to new streaming video services for free. What's next: The company reports earnings for Q4 tomorrow. Analysts seem bullish that Netflix will announce record subscriber growth.